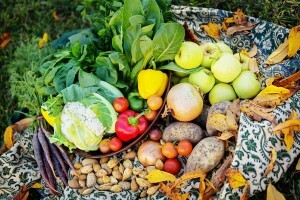 Backyard Bounty vegie boxes are jam-packed full of fresh, local, seasonal Tassie produce. Each week’s box contains a wide range of produce, including but not limited to potatoes, root veg, leafy and salad greens, mushrooms and seasonal fruit for snacking – perfect for inspiring adventurous cooking, but down-to-earth enough for easy weeknight meals. We choose what goes in your box every week, selecting the best of what’s in season and making sure that you get plenty of variety but also a compatible range of ingredients for cooking, but you can also set up your own exclusion list of items you don’t want included in your box. These items are replaced with others of equivalent value where applicable. a $40 Large Box, suited for families of four or more. The following locally sourced optional add-ons to the above boxes are also available. 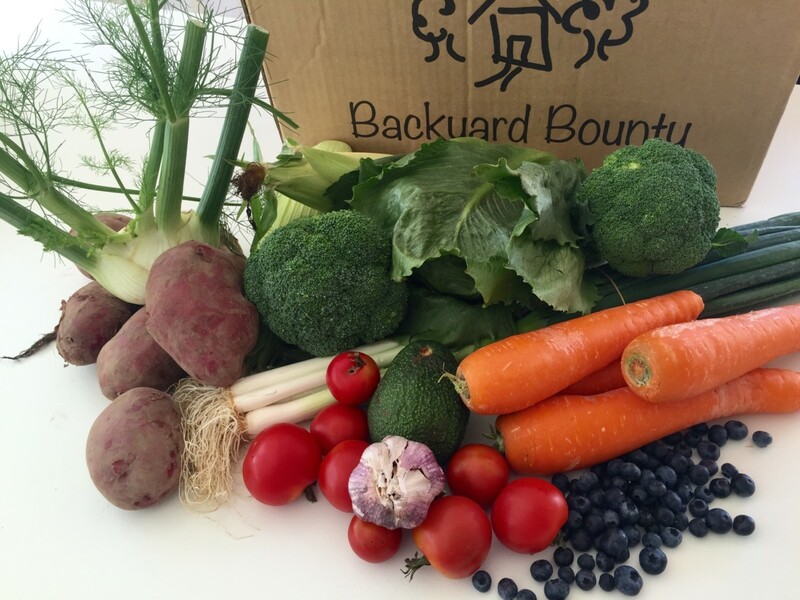 Delivery is available for $5 extra per box in wide range of available areas in Southern Tasmania (and delivery is free with your first box*), or you can collect your box from our home in New Town on Friday evenings between 4:30 and 7. 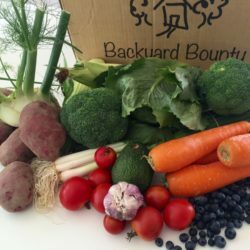 If you’d like to place an order, please send us an email at backyardbounty.vegiebox@gmail.com. Please note that orders for each Friday’s box are due no later than Monday – this allows us time to make arrangements with our suppliers to ensure we have just the right amount of delicious fruit and veg to go around! *Free delivery on first box only applicable to areas with a delivery fee of $5. Please note that only delivery is free, not the first box!